Born out of a touring vaudeville act, the Three Stooges were commissioned to make comedy short films in the early days of Hollywood. It wasn’t long before they became legendary. Even to this very day they can still make us laugh. Here’s what you need to know about Larry, Curly, and Moe. The Stooges got their start working with vaudeville legend Ted Healy. Ted was the man that not only got them on stage but in film, too. Healy was notedly an unpleasant man, however, and was noted for getting blind drunk and getting into fist fights. While his cause of death remained sketchy, it was a popular theory that he died of injuries incurred while fighting, rather than his alcoholism. 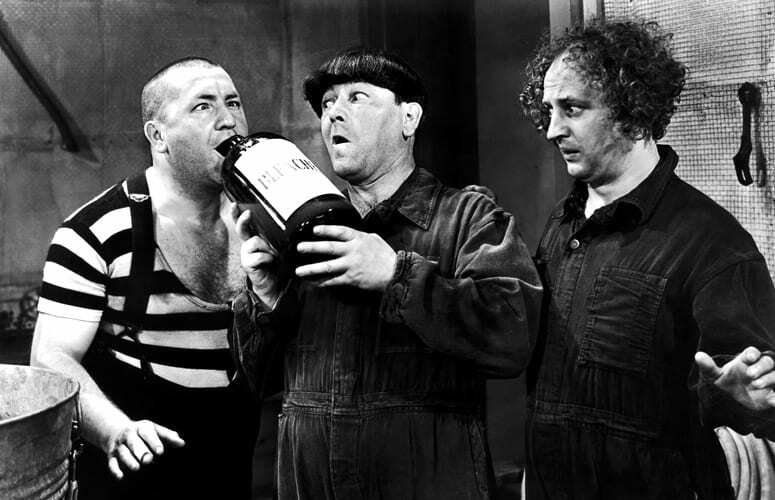 Perhaps the Stooges imitated some of Healy’s boorish, drunken behavior in their acts? It would seem like a plausible inspiration. 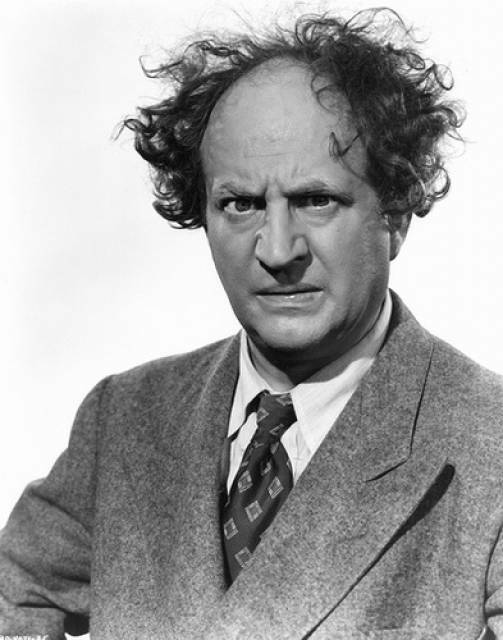 Louis Feinberg, going under the moniker Larry Fine, was Larry (obviously) in the Stooges. Feinberg loved an audience and was instrumental in helping arrange a proposed comeback in the 70s. Ironically, Feinberg would be stricken with a debilitating and paralyzing stroke before shooting completed, with the already taped footage being worked into a film instead. 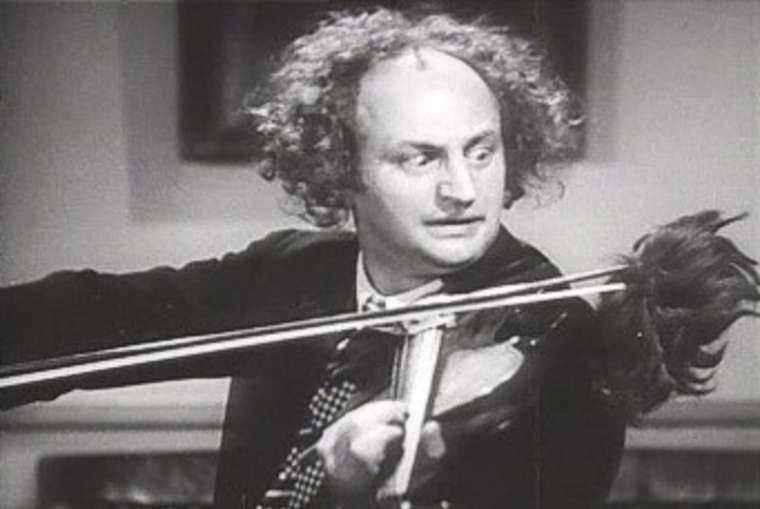 At the age of 72, Larry was the second to pass away of the Three Stooges and was almost replaced by Emil Stika, a longtime co-star of the original franchise. Although we’ve mentioned the Stooges were very active with their physical comedy and endured getting harmed in the process, their short film Three Little Pigskins required the Stooges to be steamrolled by a gang of professional Football players. Knowing better, the Stooges demanded stunt doubles. Good thing too, because the doubles suffered broken bones and cracked ribs. The implications of physical comedy were often dangerous rather than not, but that’s the price the Stooges were willing to pay for their audience. We need to give them credit where it’s due, though. They knew when to call in the trained stunt men, at the very least. 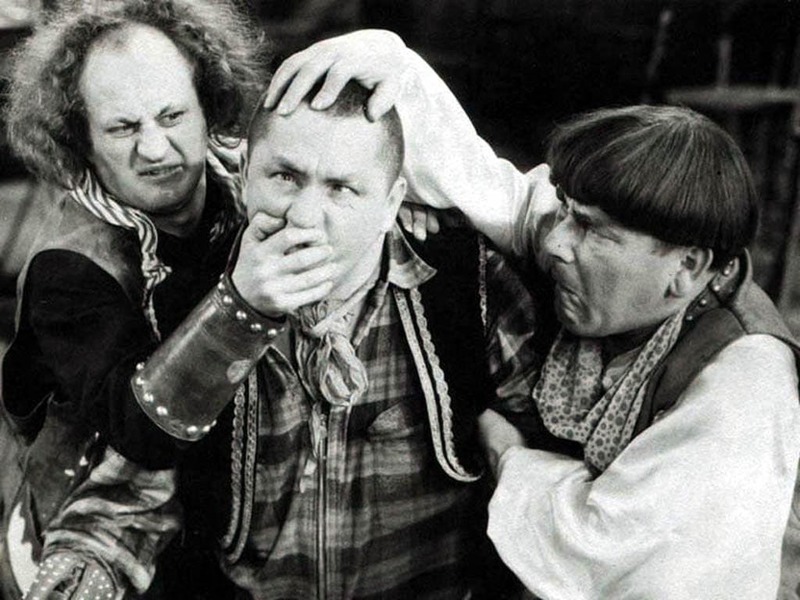 When the Stooges signed their first film contract, they were thrilled to learn they would earn $1000 per week. The thrills soon turned to misery as they realized the deal mandated that was the pay for all three of them, and that they’d have to split it. Eventually, the Stooges were signed to a seven-year contract that guaranteed them a $60,000 annual pay off.They later earned $7500 a week after their Oscar nomination, but still had to split the money between them. 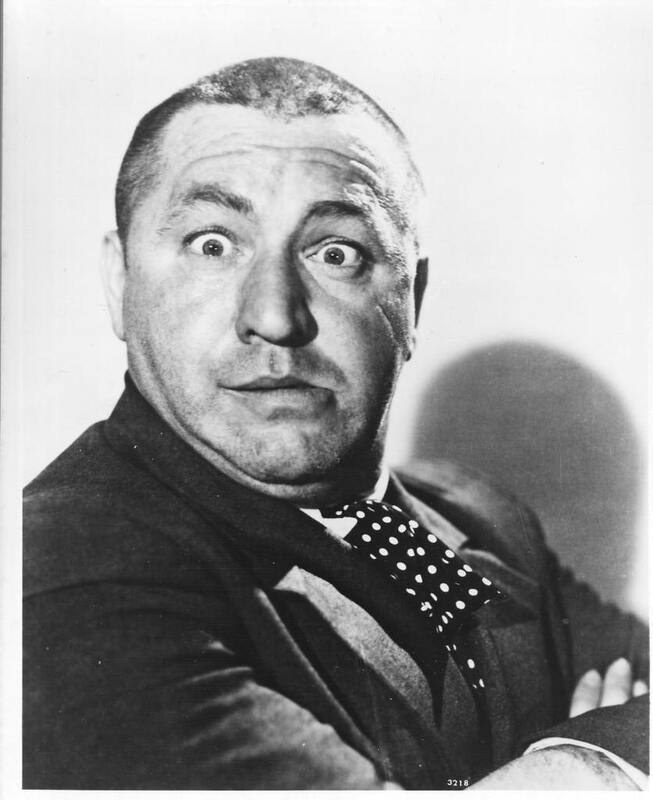 Jerome Lester Horwitz, or Curly Howard as he was known in the Stooges, was regarded by many as the stand-out comedian of the whole group. It seems sadly appropriate that he would be the first of them to die, a cerebral hemorrhage killing him at the age of 48. While it certainly wasn’t the end of the Three Stooges, it wasn’t the same without him there. 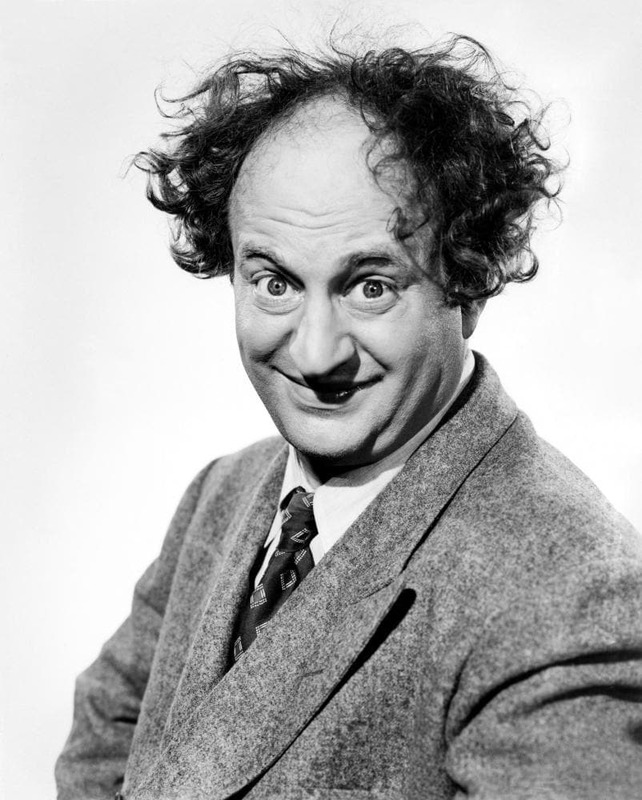 Moe Howard and Larry Fine both admitted that Curly was the key ingradient in their recipe for success. It was his improv skills and ability to think on the spot that glued together their routine. The Three Stooges films were big earners for Columbia Pictures, but not necessarily because people were going in droves to see them. 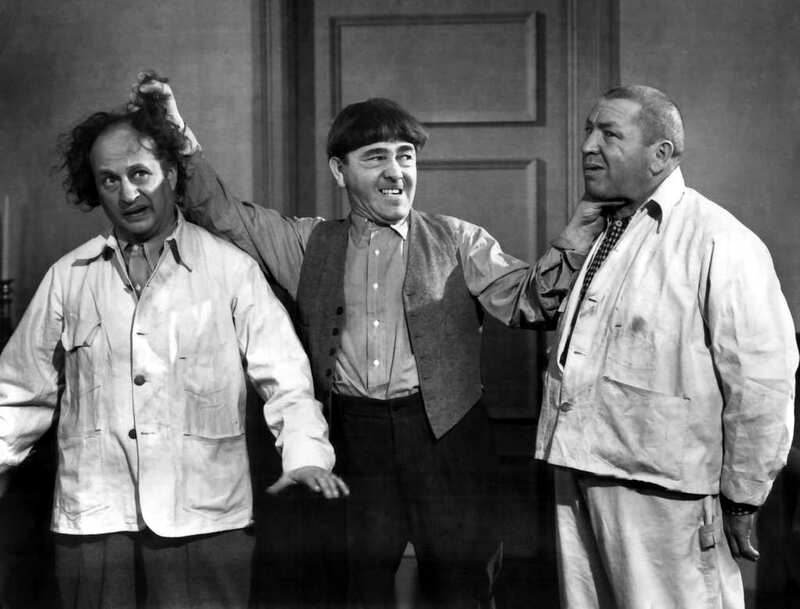 While the Stooges were popular in their day, their revenue and overall was in no small part due to using leftovers of feature films that had already finished production before them. Sets, costumes, props; nothing was off limits for use in a Stooges film. Collecting a new set of equipment and a fresh wardrobe was important the Stooges and they managed to financially support themselves even with the extra, and sometimes unnecessary, expense. While nobody can deny the Stooges were talented in their stagecraft, Larry was a smooth customer on the dancefloor. Brooklyn’s Triangle ballroom was the venue for Larry to bust his moves, especially during his youth. There are accounts of Larry being late to the early Stooges stage shows because he was dancing up a storm down at the ballroom. He was so passionate about dancing, that in the final years of his life, he would try to move around joyfully while paralyzed in a wheelchair. He lived in a nursing home and wanted nothing more than to entertain the other patients. 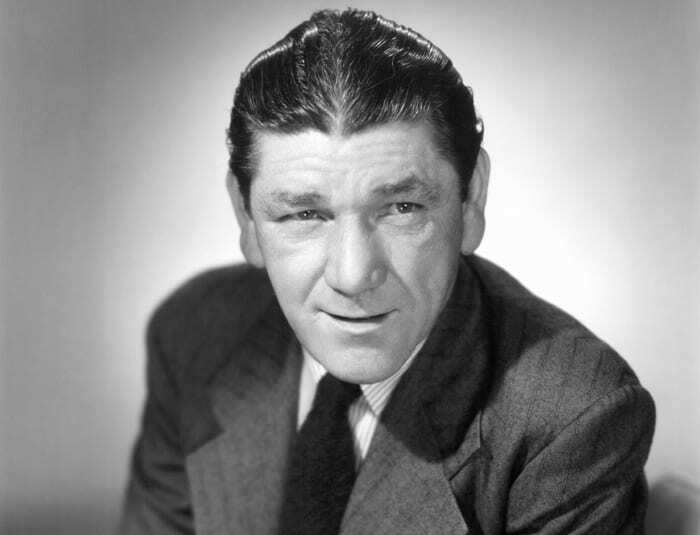 Known by his stage name, Shemp Howard, but born Samuel Horwitz. Horwitz took many sabbaticals from the Stooges over the years, but unfortunately, he would take the ultimate sabbatical at the worst time, dying at the age of 60 in 1955. 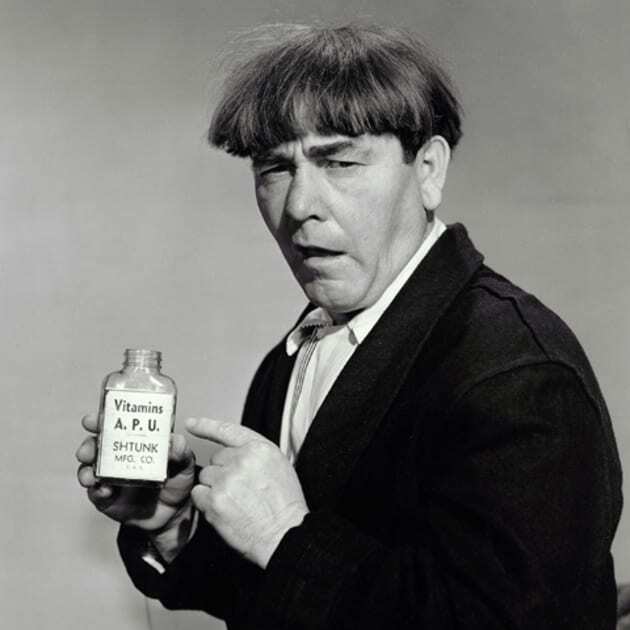 With several films left for the Stooges to finish in their contract, stand-ins were used with existing footage, creating the “fake Shemp.” After Shemp’s passing, he was replaced by Jerome Lester Horwitz, otherwise known as Curly. 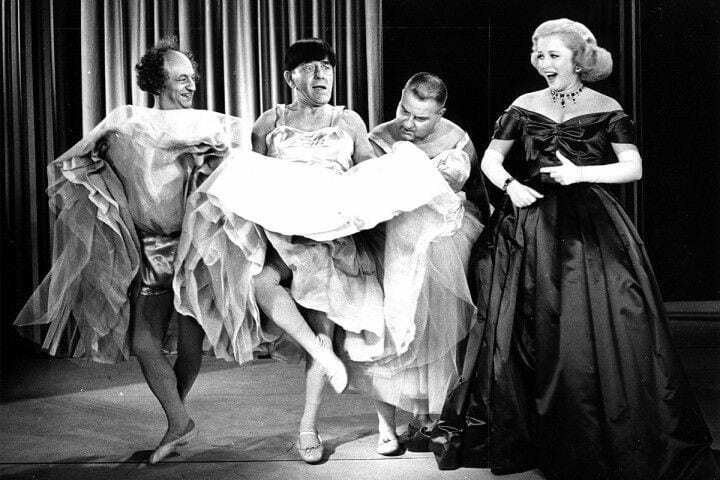 For more than a decade after he died, Shemp’s Stooges shorts (talk about a tongue twister) were consistently reissued and kept his legacy alived. In the golden age of Hollywood, the concept of health and safety really only extended to not getting killed or seriously maimed. 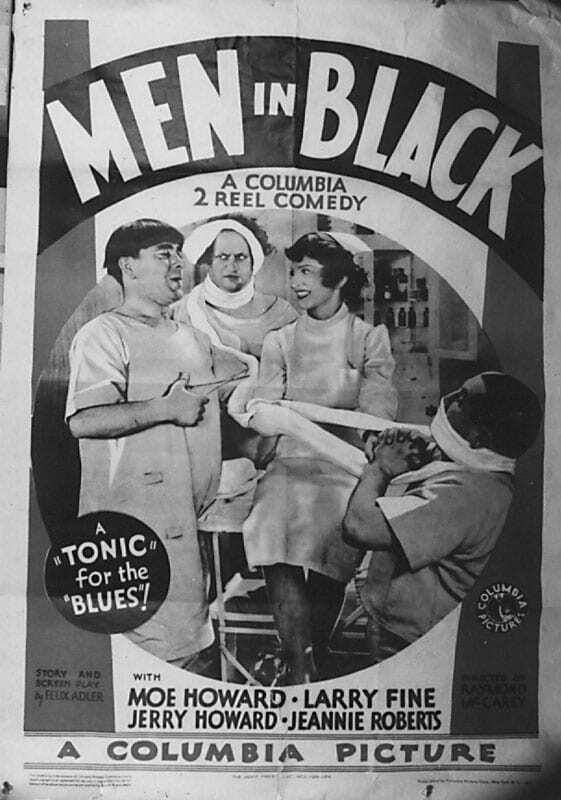 The physical comedy of the Stooges meant injuries were rife, with Curly getting six stitches in his head after an accident. They fitted him with a wig as soon as he came out the hospital and got back to work. 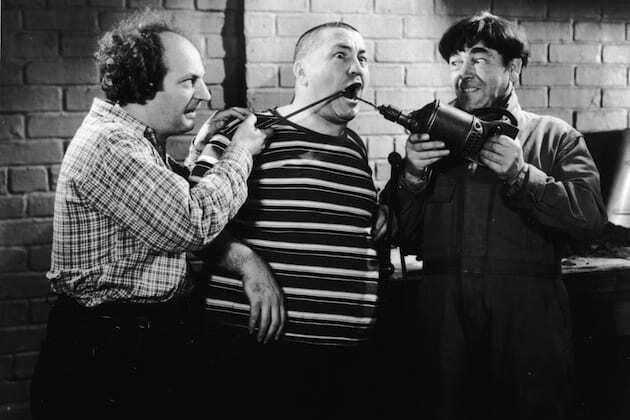 Concern for health and safety of the Stooge’s reached an all-time high after Shemp’s on-set stroke at the age of 48 – the same stroke that foreshadowed his cerebral hemorrhage shortly later. Things were tough for Larry and Moe once the Three Stooges act had fallen on hard times. Unable to find much acting work, the two of them decided on a business venture where they’d co-run a restaurant venture selling burgers. 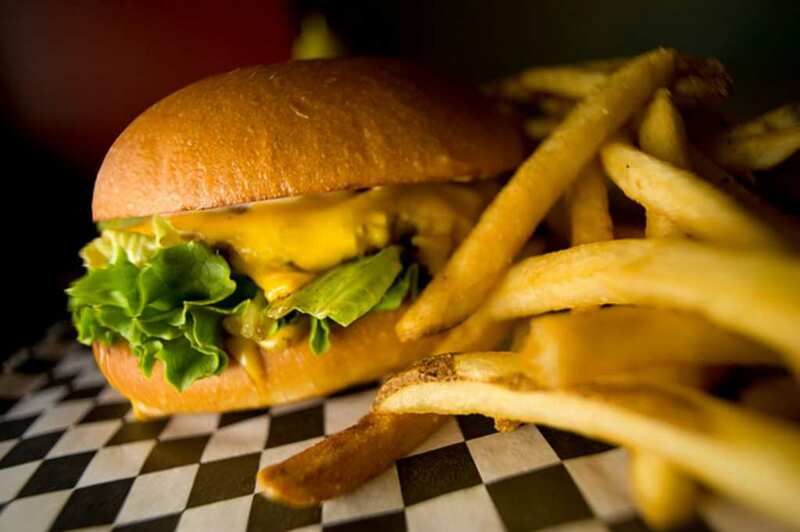 The size of the burger was said to be 3 times larger than a classic hamburger from competing ventures. The Stoogeburgers franchise was short-lived and never really turned much profit. From heroes to zeroes. In 2014, the brand decided to relaunch the burger line but with better advertising and hopefully, different menu options. It seems stagecraft attracts stagecraft, as Moe married the cousin of Harry Houdini, Helen Schonberger. 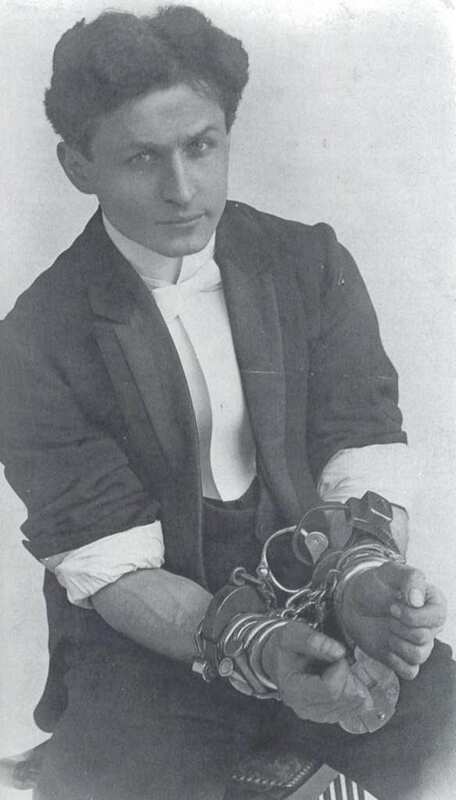 It’s unknown whether Moe actually met Houdini himself, but given they were both vaudeville acts at the height of American theatregoing, it may be possible they crossed paths once or twice. If not, they may have finally met when Houdini attempted a film career once he saw other vaudeville acts doing so. 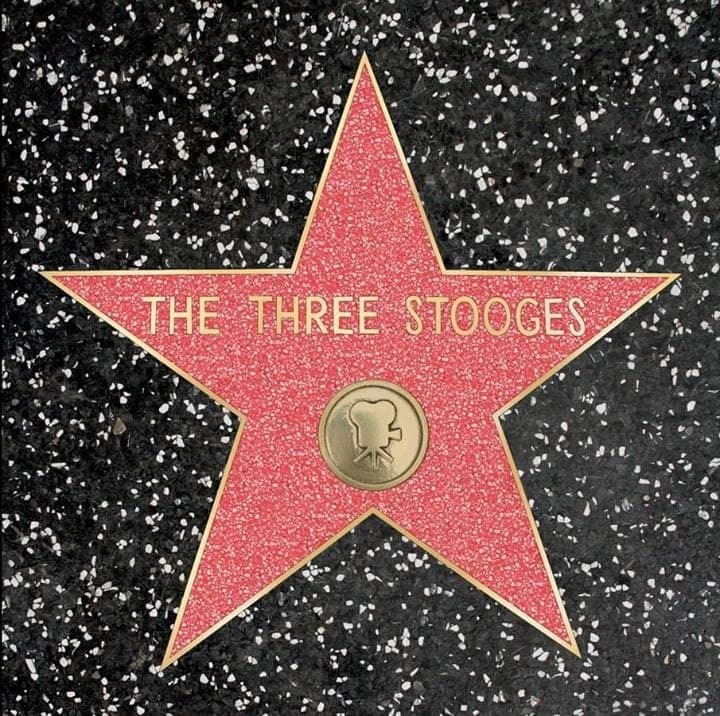 Despite their immense popularity in their heyday, the Three Stooges were not honored with a Star on the Hollywood Walk of Fame until 1983, years after the core Stooges had passed away. 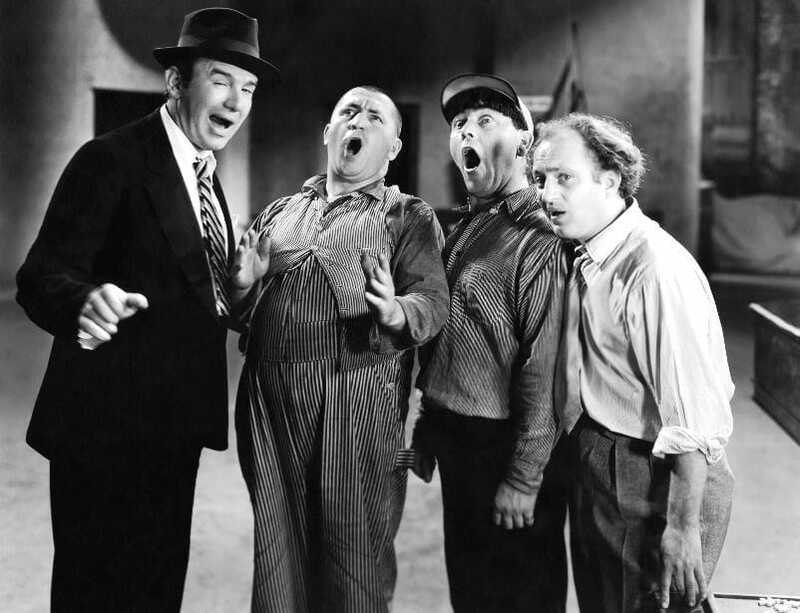 That said, since the Three Stooges films were brought to home video, their popularity has seen a resurgence that ensures History will not easily forget the reign of these comedy giants. Eventually, 4 decades of hard work paid off in terms of comedic legacy. It’s just a shame that the 4 original men weren’t around to see their achievements and influence on pop culture honored on the Walk of Fame. The influence of the Three Stooges is wide-reaching in the comedy world, but did you know filmmaker Sam Raimi brought a lot of his love of the Stooges into his classic cult horror series The Evil Dead? 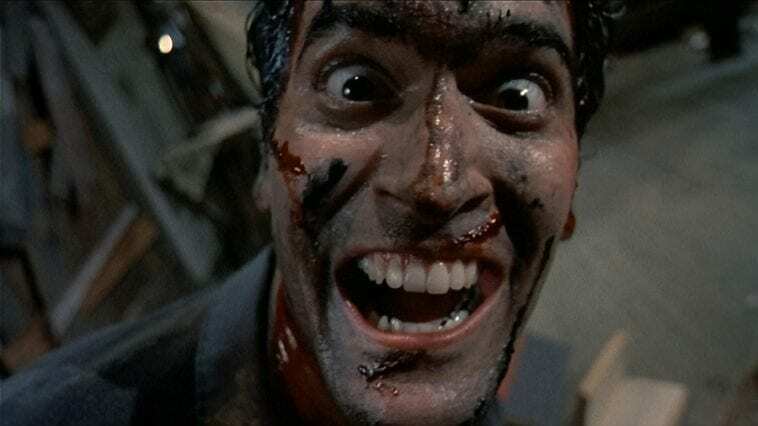 Raimi combined gore, horror, and comedy into one hilariously bloody concept he called “splatstick.” I’m sure you can imagine why he called it that. The original Evil Dead franchise was uncharacteristcly funny and a bit ahead of its time, but we have the Three Stooges influence to thank for that. 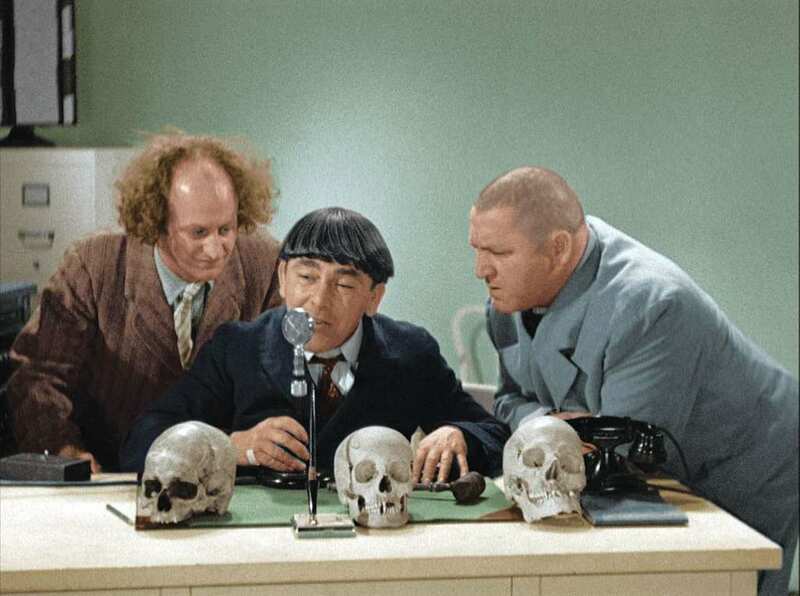 The Three Stooges were instantly recognizable thanks to their infamously odd haircuts, as they were almost an extension of their physical comedy. Moe, who kept his trademark bowl cut even into retirement, had very different hair as a child. His mother wanted a girl and made him grow his hair long and curly. 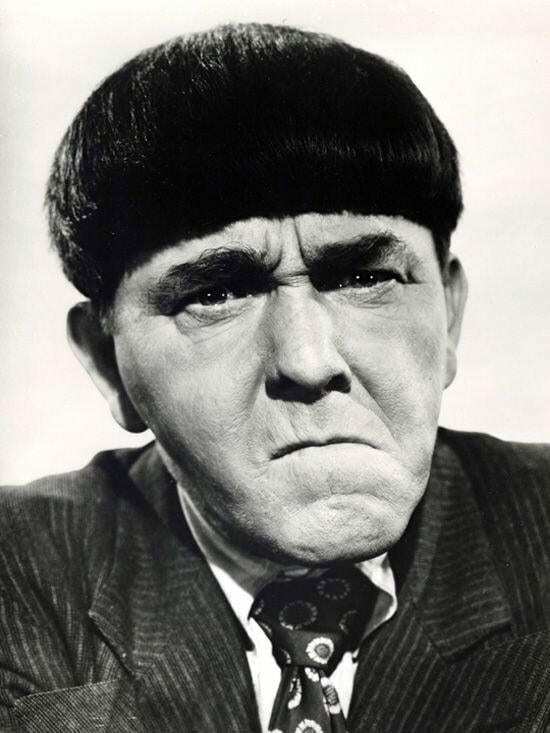 After being teased at school, Moe cut his own hair into the infamous bowl cut. For one time only, school bullies actually pushed the comedic star to do something that would further his career. Curly’s physical comedy was second to none, every aspect of his character was tailored to make people laugh, but did this include his exaggerated walk? Not exactly. Curly did work on his walk to make it funnier, but he was also working to hide a prominent limp. When he was 12 years old, Curly shot himself in the left ankle while he was cleaning one of his rifles. He refused to have it seen to by a Doctor, causing his odd walk for the rest of his life. Larry’s strong skills with the violin or the fiddle are not completely due to his love of music. Larry’s father was a jeweler, and so kept corrosive materials around to test the quality of gold. Larry spilled these materials onto his arm, and they ate away at his flesh down to the muscle. He received a skin graft, but to strengthen the damaged muscle, Larry took up the violin. At the time, this therapeutic technique was widely accepted as physically and emotionally healing. The irony that Larry was known for his curly hair, while Curly actually had a shaved head, was not lost on the Stooges. Larry’s naturally curly hair was quite a sight to see, though for it to get as wild as seen in the Stooges films, an elaborate teasing process was initiated to make it this wild, springy mop that we remember Larry as having. Curly ended up with a shaved head just to prove his worth to Ted Healy, who initially refused to hire him as a Stooge until he got rid of his excessive facial hair. The Stooges were known for their physical comedy, which could be quite rough if you were on the receiving end of it. While some props and gags were clearly faked to avoid injury, accidents did happen on set. Larry once got a fountain pen stuck in the back of his head after it was thrown by another Stooge for a dartboard joke. It must have hurt, but whoever threw it sure had good aim. 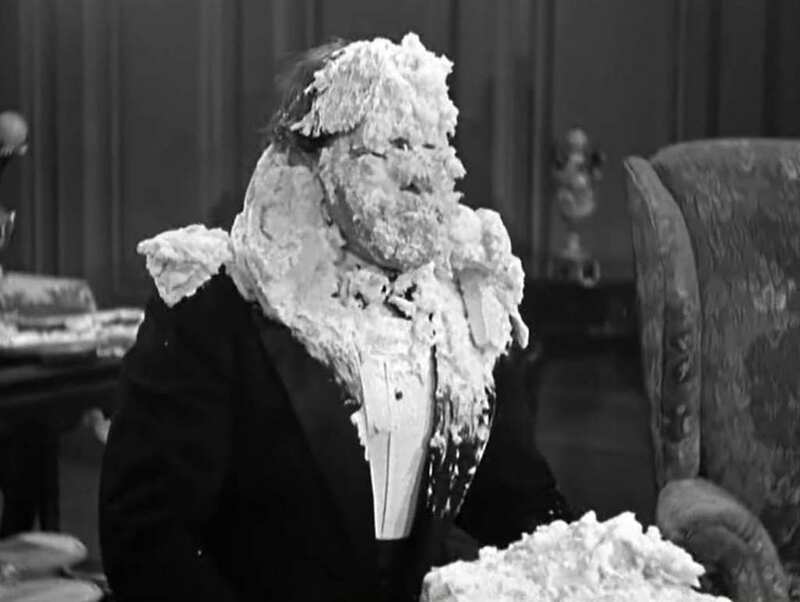 The pie fights of the Three Stooges films were part of their trademark sense of humor, but given the tiny budgets of their productions, they had to make sure they got as many good takes as possible with the few pies available to them. Moe developed a scientific method of throwing pies by accounting for the weight of the pie and the distance of the target, so he’d hit his marks. As it seems, this was one of the budgeting strategies used by the Stooges to keep their props original during each film and still preserve some financial profit. The mathematics of throwing pies with correct aim was not only beneficial for filming the pie fights, but also something of a necessity when safety was called into question. Resetting for each new take had the pies that missed their targets swept up and placed back in the pans to be thrown again, only this time there was a high chance of a rusty nail or splinter of wood being included. 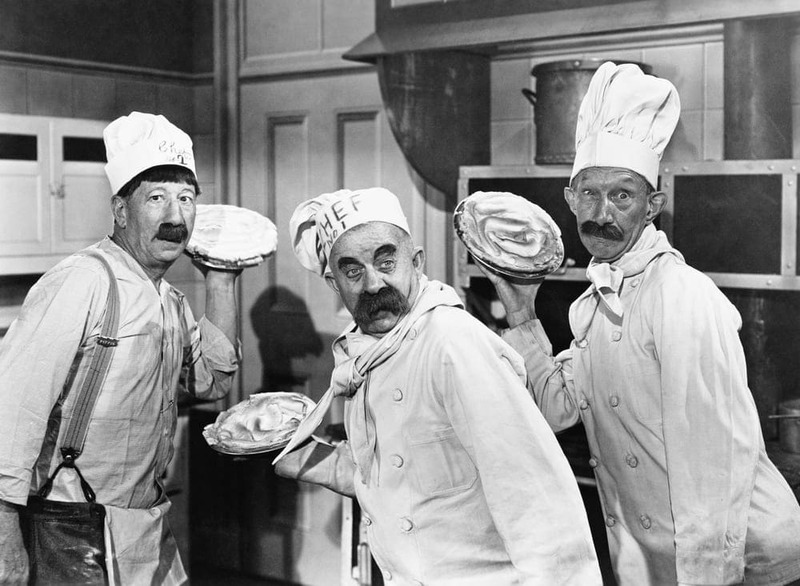 We guess it’s a good thing the Three Stooges restaurant brand chose to go with burgers instead of pies – there would have been some serious health hazards involved! Curly’s panicked running in circles was a great recurring physical gag that had audiences rolling with laughter. You’ll be surprised to know that not only was it improvised, but it was used when Curly forgot his lines. 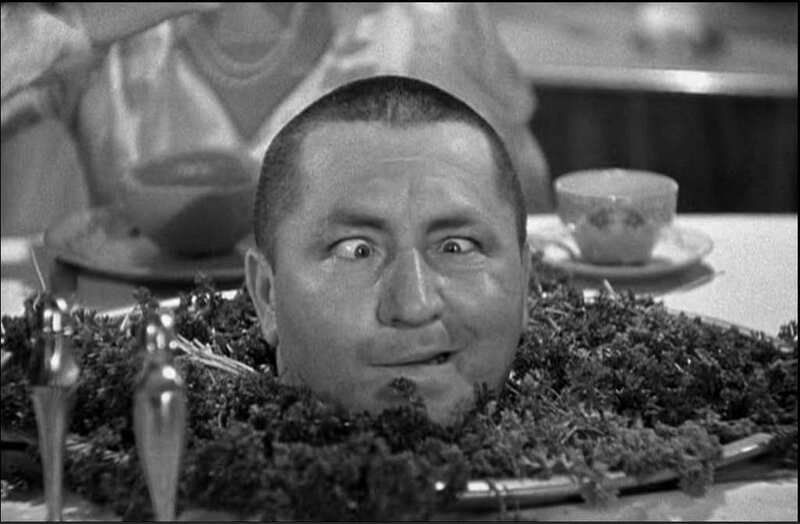 While arguably in later Stooges films they wrote the running into the script, in the early days it was Curly’s go-to maneuver if the lines had gone out of his head. Additionally, many of the script writes simply read “The Stooges enter and do their thing.” For these comedic genuises and experts at improv, scripts seemed to be irrelevant. Moe’s resounding slaps to the other Stooges sounded like a bullet from a gun, but were they real? Nope! While Moe had no problems slapping the other Stooges for real, he was unsatisfied with the noise it made, and a sound effect was dubbed in for the slaps instead. While Moe would then usually fake the slap, he would sometimes do it for real to keep the others on their toes. Clearly the pain that the cast endured for over 3 decades wasn’t just an occupational hazard brought on by objects and props. The pain came from Moe, too! 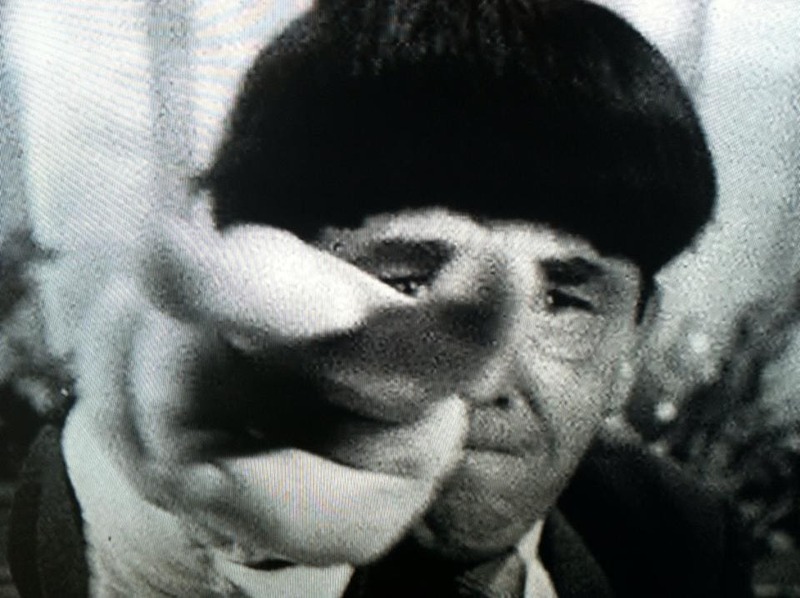 While the Stooges’ physical comedy included a faked eye-poke, it actually stemmed from a real incident where Shemp and Larry were playing a game of cards that ended in a heated argument about possible cheating. Moe watched as Shemp poked Larry right in the eyes for real, and laughed so hard he fell back through a glass door. Life imitating art or the other way around? Critics are always the same. If something is popular with the masses, they hate it. The Stooges did have their fans in the critics’ circle, but many derided their style of comedy. They sure got egg on their faces when the Stooges received an Oscar nomination for their comedy short “Men in Black.” It just goes to show that the critics are just as fallible as anybody else. 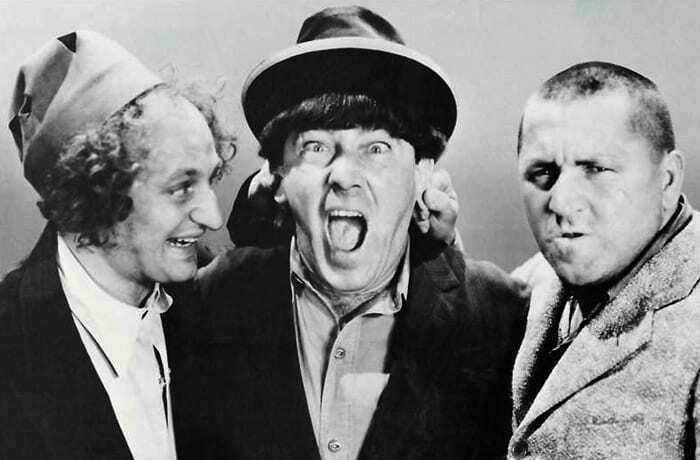 Now, the Three Stooges are labeled great comedy greats, who changed the world of laughter to decades to come. The Three Stooges franchise is cult-phenomenon and true fans remain loyal to the appreciation of their classic films and shows.